These Vegan Roasted Green Beans are the perfect Thanksgiving or holiday side dish! 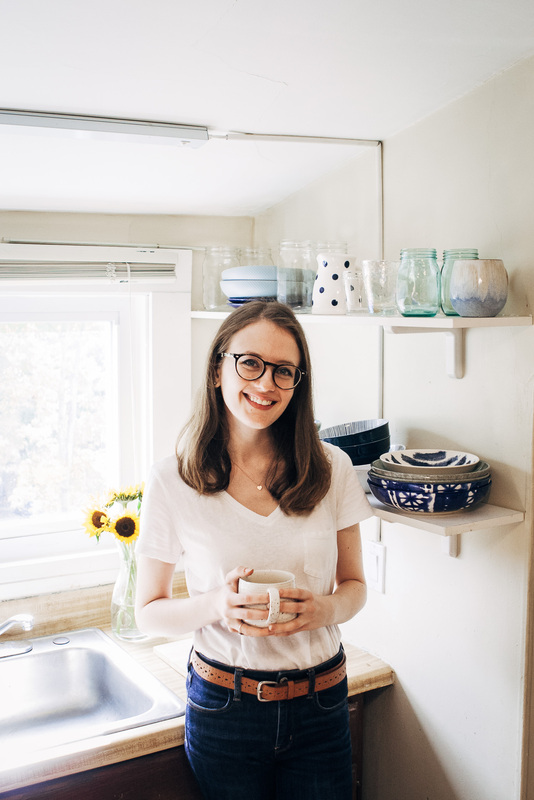 Today is the second recipe in my #WellandFullThanksgiving series! 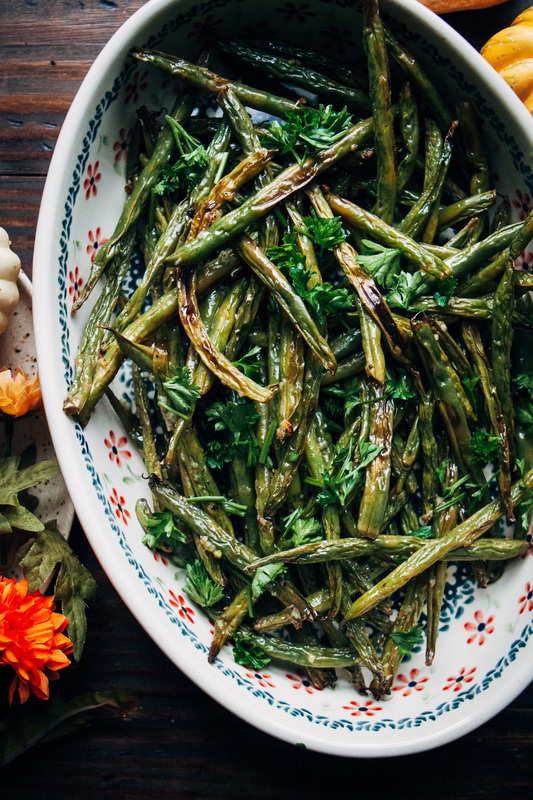 Vegan roasted green beans are one of my favorite holiday dishes. I always make these for my family’s Thanksgiving or Christmas parties, because they’re super simple but SO delicious! I’ll always be a fan of salads and raw vegetables, but I really do think that roasting is the best way to extract flavor from veggies. 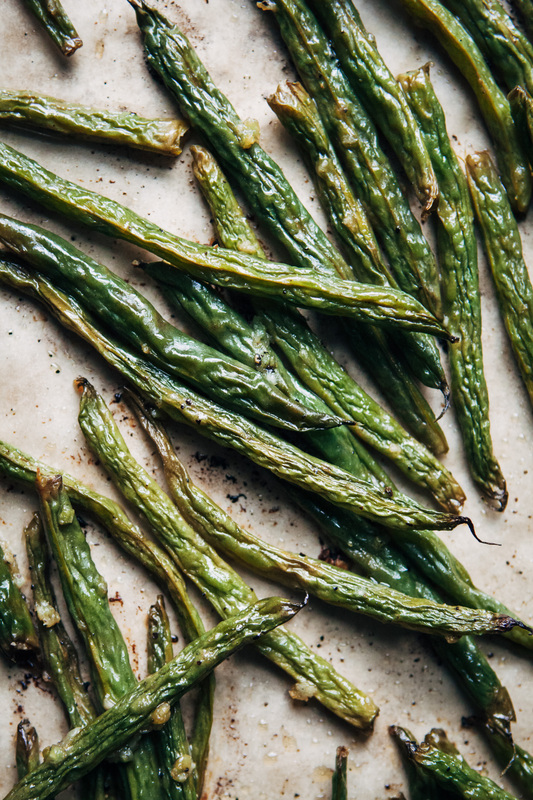 These green beans are baked in the oven with garlic, lemon juice, and salt and pepper – such a great flavor combination. 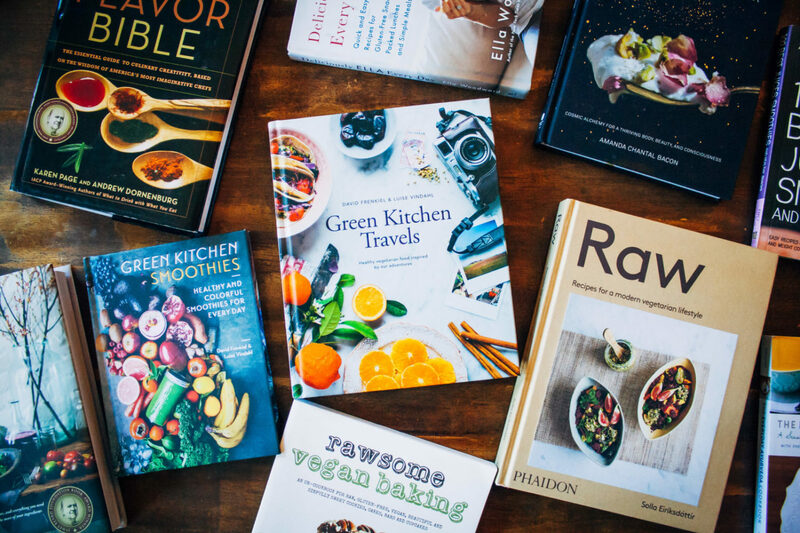 In 2019, I’m hoping to focus on three things – my blog, my family (Jon + Ivy), and myself. I’ve been putting a lot of effort into my blog (especially on Instagram) and it’s been very rewarding to see positive results. It’s also important to me to be more present with Jon and Ivy, and to really enjoy and savor the time I get to spend with them. And finally, it’s my goal to simultaneously work towards self-improvement, but also to be kind to myself and accept myself for where I am in life. I’ve always had a hard time accepting myself, but I’m ready to take some steps to be more forgiving and patient when it comes to my life. So cheers to the upcoming holiday season, and to looking forward to the new year! Hugs! 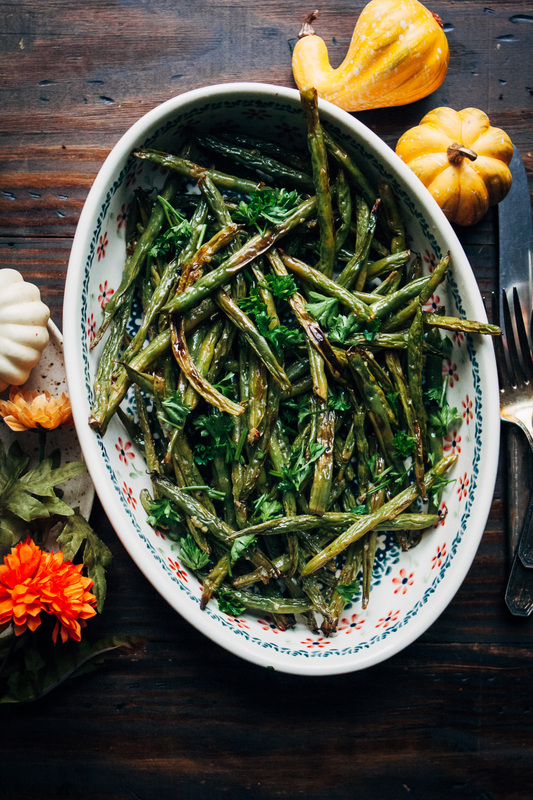 These vegan roasted green beans are the perfect Thanksgiving or holiday side dish! Made with garlic and lemon, these green beans are full of flavor! Toss your washed, trimmed, and dried green beans with the minced garlic, olive oil, lemon juice, salt, and pepper. Toss until evenly coated. On a baking sheet lined with parchment paper, bake green beans in the oven for 20-25 minutes, or until browned and slightly crispy on the edges. Serve with chopped parsley, if desired.